The GenShield Series is a temperature rise door designed to impede and limit heat transmission generated from a fire. The core’s excellent heat retardant characteristic protects the unexposed area thus allowing ample time for safe evacuation. 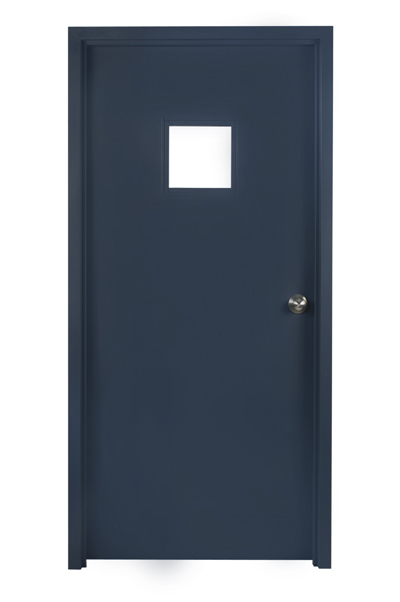 In accordance to temperature rise standards, the unexposed door surface will reach a maximum of 250°F during the first 30 minutes of a fire and 450°F after 60 minutes. Standard doors are 1¾ in. (45 mm) thick and are available in 16, 18, and 20 gauge galvannealed steel.